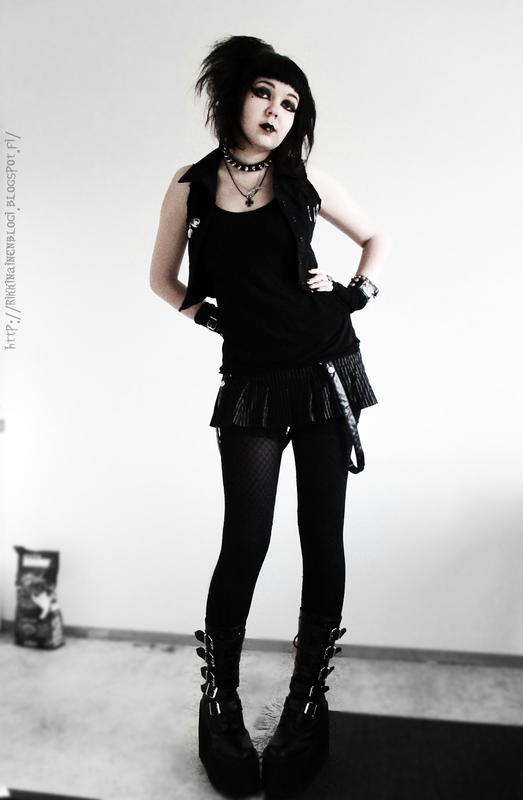 Black Widow Sanctuary: Some new stuff and ootd! 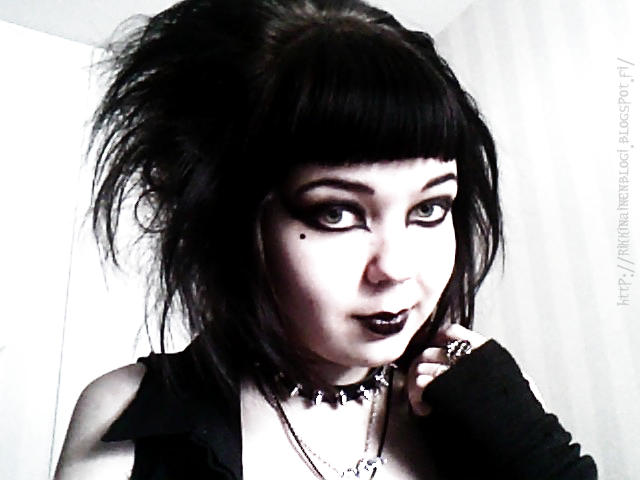 Last weekend I was in Tampere and I got some new stuff from there, Including a new camera! It's a Canon Ixus 150, so much better than my last one. A perfect camera for me. This lip service skirt is the first and probably the last one of their clothes I'll ever own. 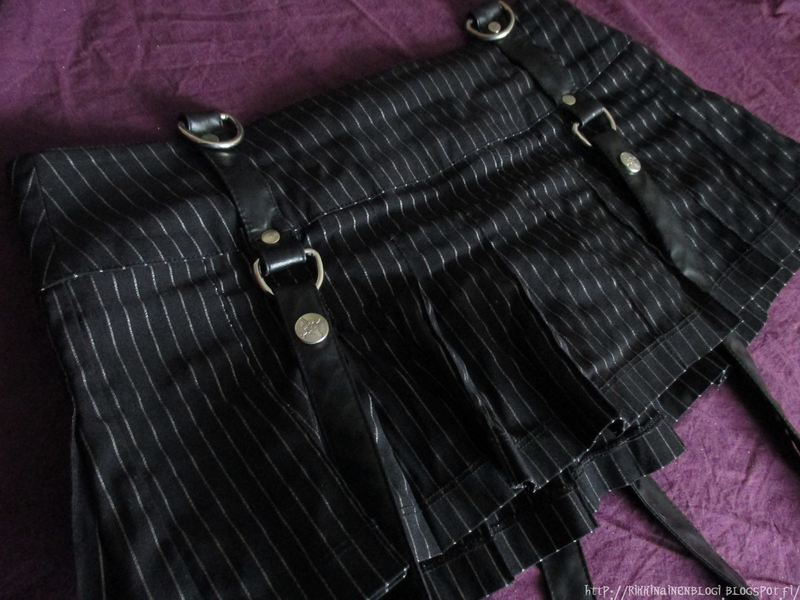 I have never really liked lip service clothes, but the shape of this particular skirt has always pleased my eyes. I got it second hand. In the Tampere train station there is this shop where they sell jewelry, almost every kind of incense, hookahs, clothes, dream catchers etc. So in other words, it's the best shop ever! 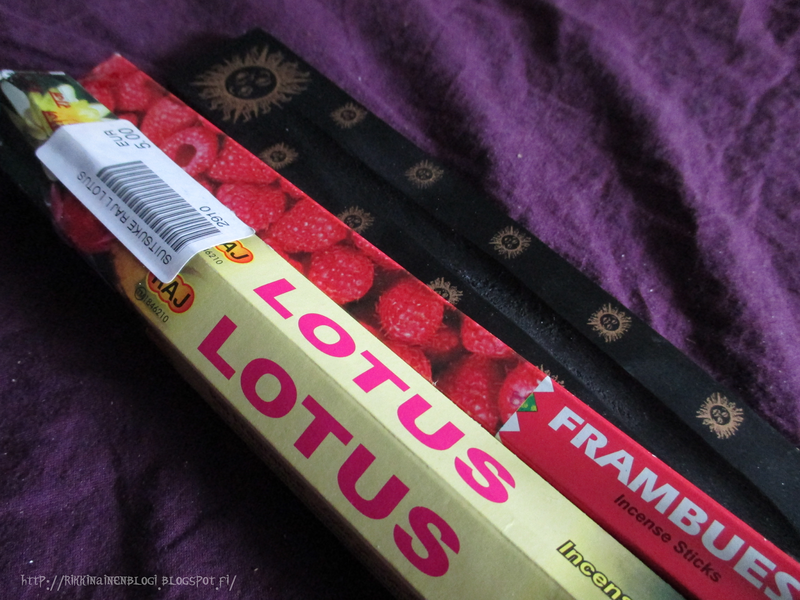 I went there on Friday to get some more incense and a incense holder. I was going to go back on Sunday when I was leaving back to Pori, but it was closed. Too bad, they have the best jewelry and I would have wanted to buy something. Maybe next time. From Tamperes "super fairs" I only got this book. But it seemed rather interesting since the story is located in the Tampere-Pori area. 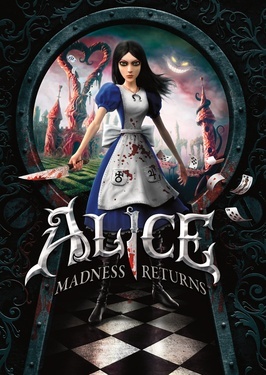 Last but not least, Alice: Madness returns from Steam. 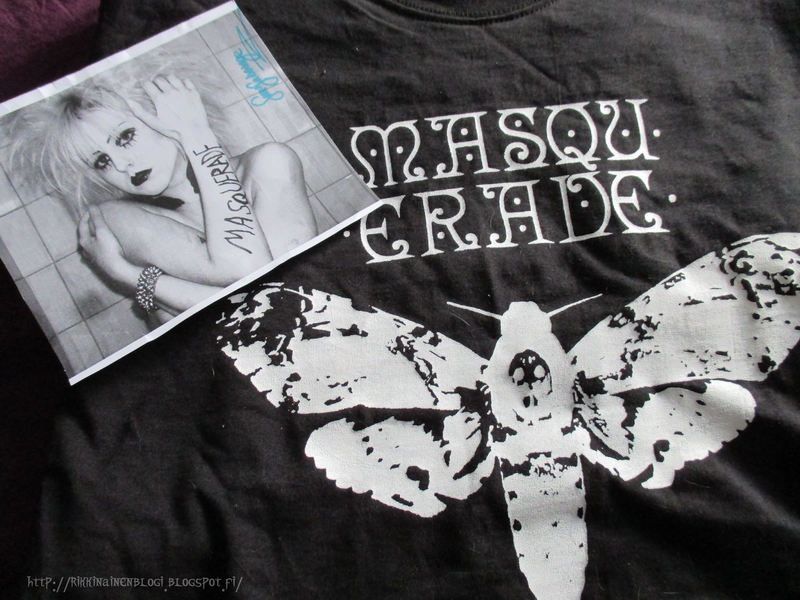 It was on sale, 5€. I have to say, it was different from what I expected. But it is still a very good game! I just seem to get stuck in some parts. But Mikko was kind enough to help me get trough some very annoying teapots. :D Probably going to need his advice in the future too.. Woo I snipped my bangs shorter. They started to poke my eyes. I think this is the shortest they have been. I kinda like it. Ihana asu, oot todella kaunis! Ihan sillä kielellä miltä itse tuntuu paremmalta! :'D Suomi oli ihan hyvä valinta! Ahaa, no jotkut pelit on kyllä tosi outoja tietokoneversioina! Minulla rupesi mirrors edge aina yhdessä tietyssä kohtaa aina lagaamaan siihen pisteeseen ettei sitä enään voinut tietokoneella pelata. No onneksi minulla kuitenkin on se pleikkarillakin. Sinällänsä outoa kun siihen kohti peli pelasi aina kuin unelma ja sitten pum, pöh. Mä olin Jäähovilla katsomassa Masquradea muiden seassa. Oli hauska ilta, harmi ettet päässyt! Voi että! 8< kyllä minä vielä joku kerta menen katsomaan! Oh I hated the teapots! My best advice is to dodge like crazy and either pepper grinder them or stab them. Indeed! And while stabbing, hoping some other one isn't shooting you from the distance :D Ugh!